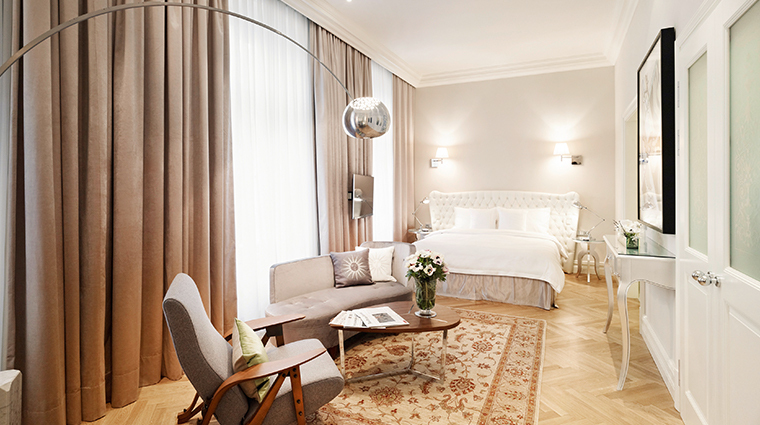 Bridging the gap between Vienna’s artistic Seventh District and the elegant First District, Hotel Sans Souci Wien is an exceptional example of modern luxury, filled with delicate, considered details that set it apart from the city’s traditional offerings. 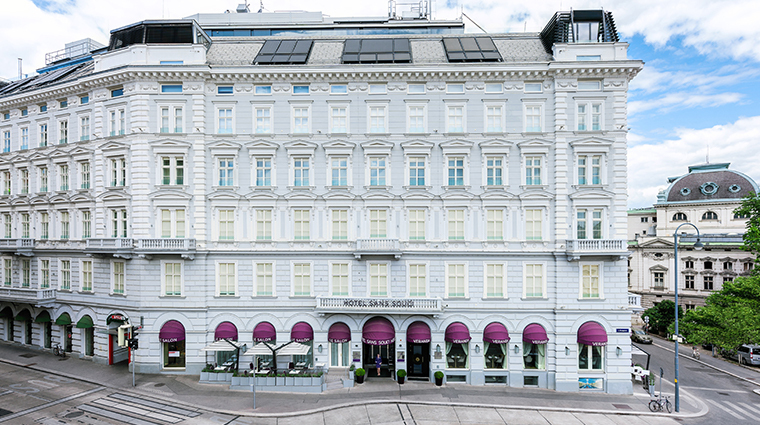 Unafraid to let its personality shine, the hotel is filled with a bright luminous purple, said to be the favorite shade of its owner and founder Norbert Winkelmayer. 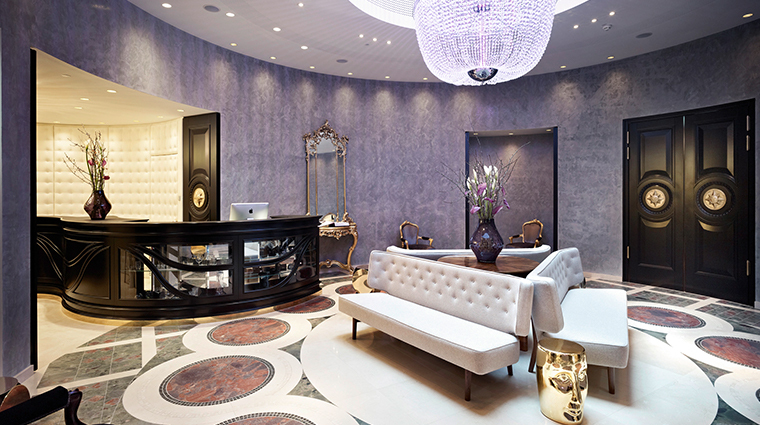 He deliberately curated the Sans Souci to be different from other nearby high-end hotels through exceptionally friendly service and personalized design elements. 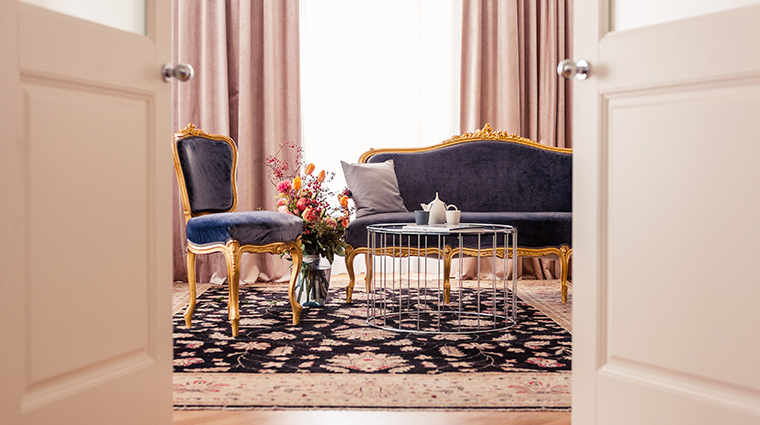 In a city brimming with tradition, the Sans Souci is singular in its luxurious design and relaxed style, pairing modern art with antique Versailles-influenced décor and elements of Jugendstil (German Art Nouveau). 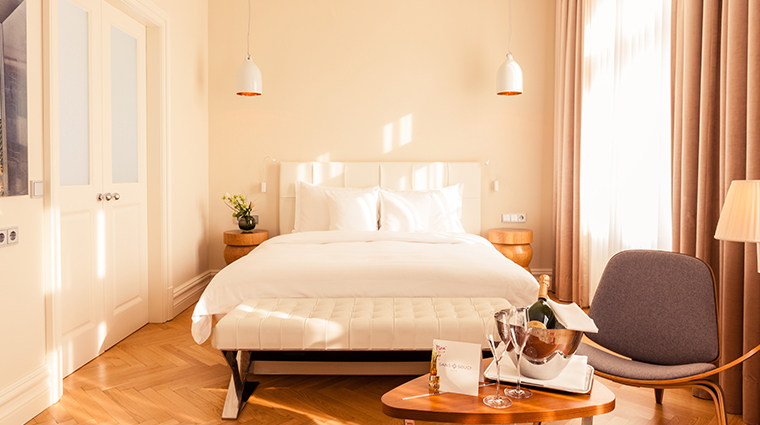 This is the ideal stay for those seeking a modern boutique experience among the artistic quarter of historic Vienna. 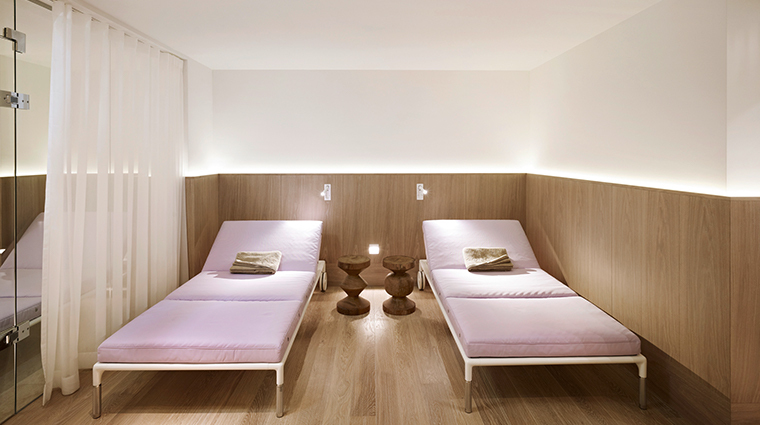 The hotel’s vibrant energy and style is particularly evident in the details, such as the high-end bedding from Vispring and Treca Interiors Paris, Roy Lichtenstein prints and unique design elements from London’s Yoo Studio. The suites are worth the splurge if only to take in the Insta-worthy views from the elegant freestanding marble bathtubs. 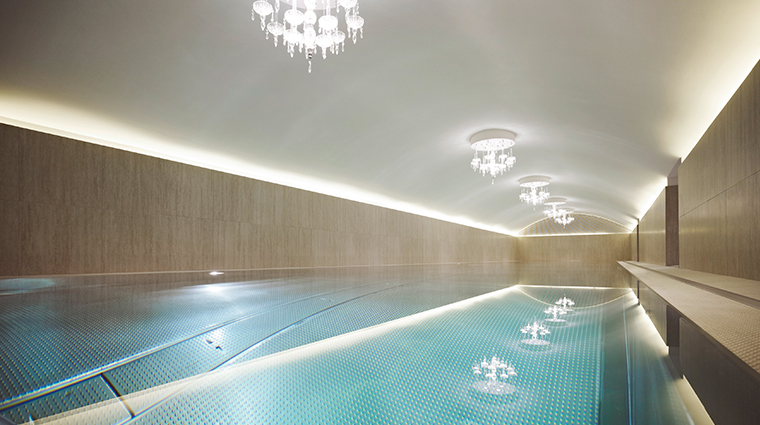 Be sure to order a bottle of champagne to accompany your relaxing soak and Vienna skyline vistas. No matter when you arrive, you’re sure to be greeted by personable purple-clad staff. Each uniform echoes the Jugendstil design elements found throughout the property, and the friendly service takes the whole aesthetic to the next level. 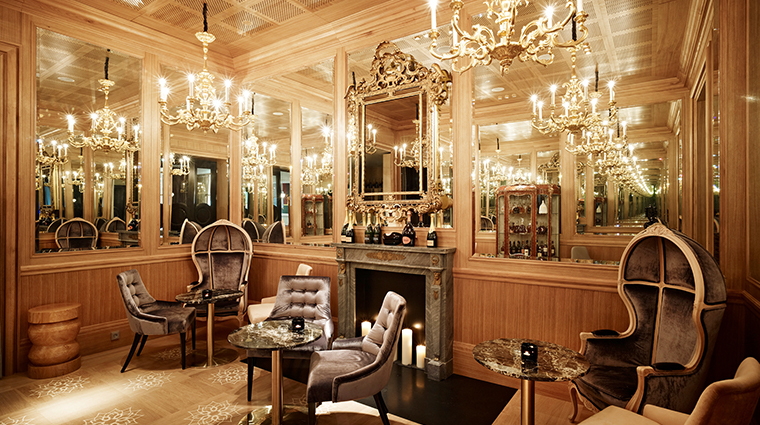 Live the high life with a visit to the hotel’s intimate Versailles-inspired champagne bar. Let Holger and Julio (the sumptuous spot’s resident barkeepers) fix you a bespoke cocktail as you lounge on the purple velvet settees (complete with gilded armrests) beneath the dimmed light of a crystal chandelier. 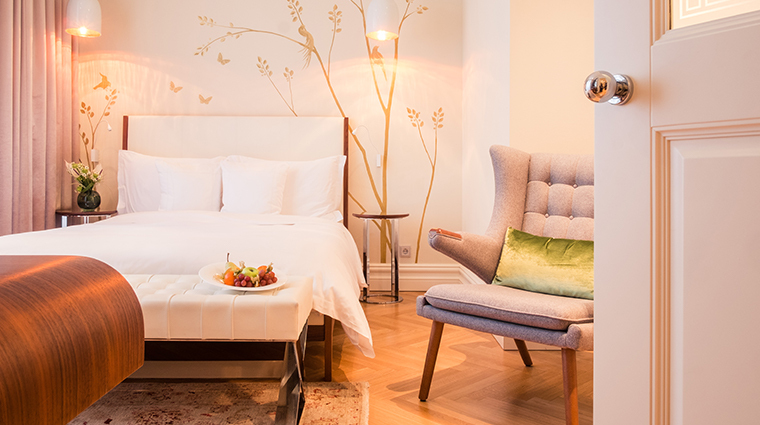 The boutique hotel prides itself on attention to detail, and it’s evident in each pillow, mirror and cocktail that has been meticulously planned to match the ambiance. From the environmentally friendly wood blocks used to indicate if you want your towels washed, to the framed images of treats available on each floor (coffee on the first, cake on the second, champagne on the third), nothing here has been overlooked. 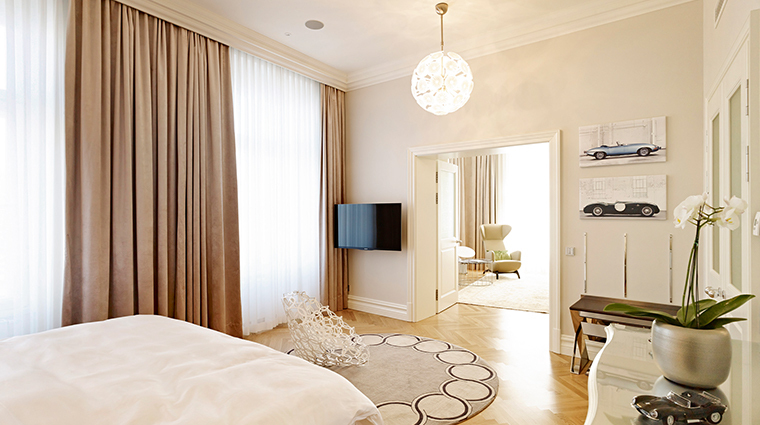 Hotel Sans Souci Wien has achieved Green Globe certification, meaning that it is committed to creating and maintaining practices that improve environmental awareness, social responsibility and economic viability. Le Bar offers a champagne tasting on the first Thursday of each month, but you can choose from more than 60 different bottles and eight selections by the glass any day of the year. A specific vintage is also featured each month for you to experience in the luxe surroundings of this intimate spot. Whether you choose to stay in a standard room or the extravagant Jaguar Suite, you’ll enjoy complimentary breakfast at the Vienna hotel’s Veranda restaurant. The Sans Souci has the largest hotel pool in Vienna. 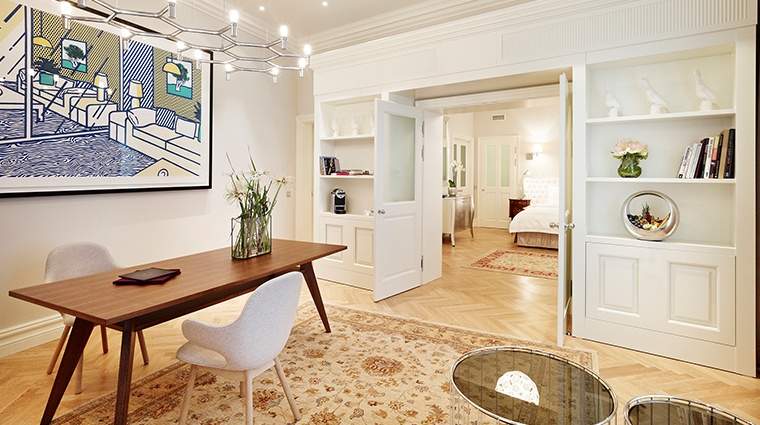 The design from Yoo Studios emphasizes a clean layout, maximizing space to create a sense of a home away from home — if your home was immaculate and dotted with original modern art. 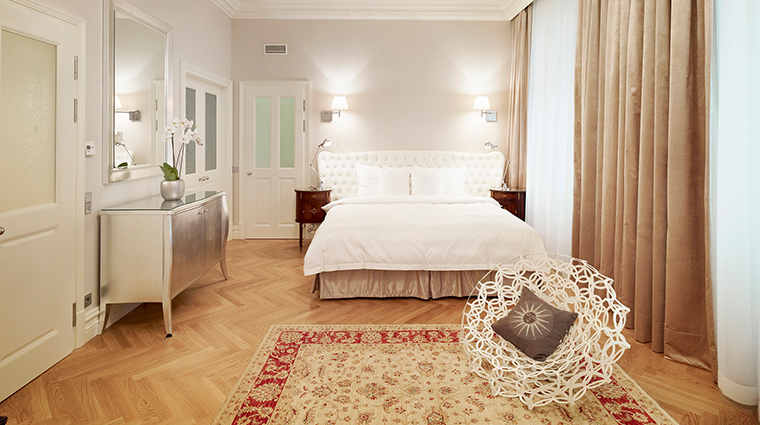 Clean lines, a warm white headboard and elegant coffee tables make each room feel inviting. 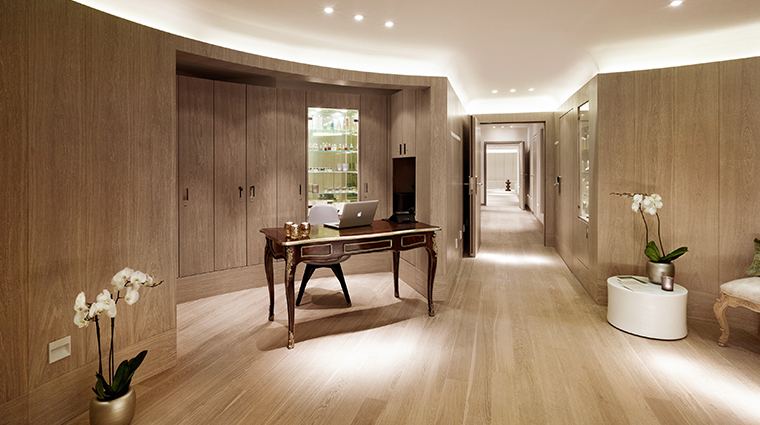 All rooms have separate toilets from the bathrooms, as well as double vanities and amenities from U.K. brand Molton Brown. You’ll notice a stripe on only one set of towels — this helps you identify which one is yours. 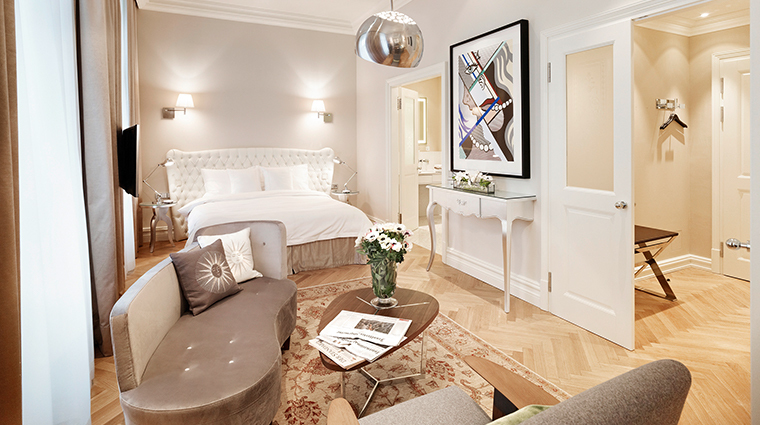 The beds in standard rooms are plush models from Treca Paris, while the suites offer elite Vispring mattresses from London, favored by the Beckham family and even the queen herself. Vienna’s Museums Quartier is directly across from the hotel entrance, with its many varied galleries, restaurants and outdoor courtyards to stroll around and enjoy. The Leopold Museum in particular, home to the great works of Egon Schiele and Gustav Klimt, is worth dedicating some time to visit. From some suite windows, you can peer directly into the upper balcony foyers of the grand Volkstheater, where modern interpretations and historic plays are performed. The building was founded in 1889 and to this day offers shows designed to attract everyday fans as an alternative to the highbrow Vienna State Opera and Burgtheater nearby. The Seventh District is a humming hub of restaurants, bars and indie hangouts from the early morning, when brunch spots flower on terraces attracting bearded students like bees, to the late evening, when nonchalant smokers spill out onto the cobbled alleys of the district in muted high spirits. The renowned sights of Vienna (including the parliament building and the mirror image museums of Maria Theresien Platz and Heldenplatz) are a short walk from the luxury hotel — you can be in the city center in less than 10 minutes by foot, if you don’t get distracted by the historic architecture along the way.